Congratulations to RedLynx, you've made a fine game. It's bloody hard but a lot of fun. 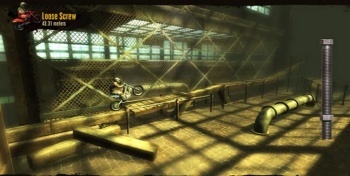 Made me buy Trials 2SE for my PC even though it's not quite as great without people to beat on XBL. And why isn't this wonderful game on the PSN? What I love most about this type of thing, and digital distribution generally is that they never have to clear shelf space for new stock, so you don't end up missing a game because it wasn't a huge seller and was taken off the shelves after two or three weeks!